Prof Peter Bouwknegt is a past member of RSPE. Contact details and information may no longer be correct. Professor Peter Bouwknegt studied Theoretical Physics and Mathematics at the University of Utrecht, Netherlands, under supervision of Prof G 't Hooft (Nobel Prize for Physics 1999), and at the University of Amsterdam under Prof FA Bais. He obtained his PhD in 1988. He then spent several years as a postdoctoral fellow at MIT, CERN and the University of Southern California before settling in Australia in 1995. 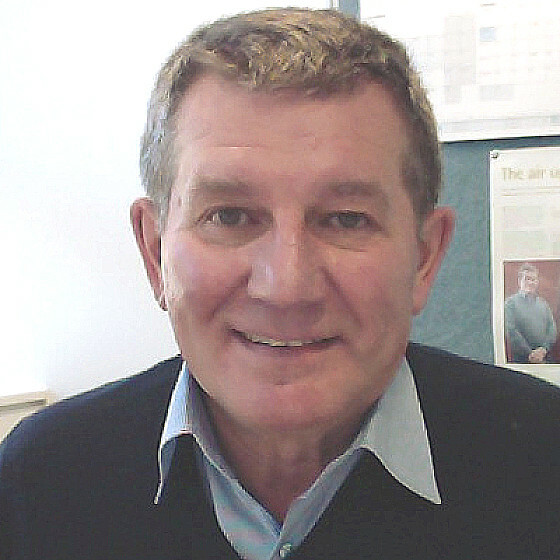 He spent almost 10 years at the University of Adelaide, first as an ARC QEII Fellow and subsequently as an ARC Senior Research Fellow, before being appointed Professor of Theoretical Physics and Mathematics at the Australian National University in 2005. He is a recipient of the 2001 medal of the Australian MathematicalSociety, and an expert on the mathematical foundations of String Theory and Conformal Field Theory. He served on the Australian Research Council's College of Experts from 2009-2011, and 2014-2016, and the ERA-REC in 2012. He is currently the Director of the Mathematical Sciences Institute. Mathematical physics. Current research interestsinclude the investigation of mathematical aspects of physical theories, in particular quantum field theories. Main expertise is the structure of two-dimensional conformal field theory and their applications in diverse areas such as condensed matter physics, integrable models of statistical mechanics and string theory. Also the mathematical structures underlying string theory and D-branes, using advanced mathematical techniques such as K-theory and gerbes. More mathematical expertise and research interests are in the areas of (infinite dimensional) Lie algebras, representation theory, quantum groups, differential geometry, homological algebra, algebraic geometry and algebraic topology. Recently I've become interested in the Geometric Langlands Program and the classification of topological states of matter.